Nine games involving Junior clubs are up already on SFM`s annual listing .. please add yours. 19th July home Rangers. 23rd July away St Ants. 26th away Linlithgow 2nd Aug home Pollok. Many Thanks .... 107 pre-season games now at SFM. 140 pre-season games at SFM already ... almost 350 players available ... many thanks for your help. Saturday July 19th: Glentoran F.C. 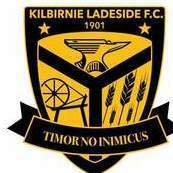 Saturday July 26th: Hurlford Thistle A.F.C. (around 100 people) ... and that the last time they were over (Ayr United), they went on to win the Irish Cup ... hoping it rubs off for them again. That`s fixture no. 389 at SFM .... now 700 persons listed and 264 transfers confirmed. That's a nice wee tournament you have planned. Diverse teams. Good luck with it. is connie courts, tam and conrads sister. The other two dates are unchanged. Is Linlithgow Bridge a card game ? Ardrossan Winton Rovers have arranged the following pre season fixtures. Cumbernauld United have arranged the following pre-season matches.